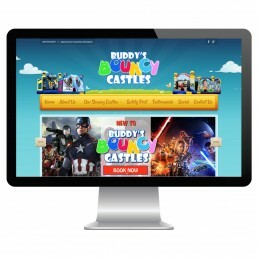 Buddy’s Bouncy Castles were noticing competitors online were out shining they’re dated websites and they’re online leads were declining and bounce rate increasing. This is a crucial point, that needs to be payed attention too, for any website before they fall too far behind in the online race to the top. CKY Media was called upon to redesign their website for a more professional and inviting look, support good internal SEO practises and be linked with their social media promotions as their core market traction was pulled through families on social media.